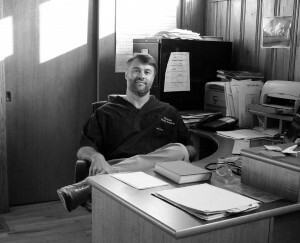 Dr. Roberson is a local hometown dentist, who has been serving the Henderson, NC community for nearly twenty years. He received his Bachelors of Science Degree at NC State University and his Doctor of Dental Surgery Degree from the University of North Carolina at Chapel Hill. Dr. Roberson grew up as the son of a dentist. His father, Dr. Ted Roberson was a professor at the UNC Dental School for 41 years. As a child, Dr. Roberson would go to work with his father, and he would let him play with the dental materials. Having tubes implanted multiple times in his ears, his dad would use dental impression material to make him custom fitting earplugs for swimming. This fascinated Dr. Roberson. After graduating from NC State, Dr. Roberson worked in Research Triangle Park as an inorganic chemist before starting Dental School at UNC. During his next four years at UNC, Dr. Roberson completed summer residencies in oral surgery and pediatric dentistry in Pensacola Florida and the VA hospital in Asheville, NC. After graduating, he and his wife Allison moved to Henderson, NC where he joined the practice of Dr. Richard Noel. A year later, in 2000, Dr. Roberson opened his own family dental practice in a 100-year-old house on Dabney Drive, where the practice still resides today. Dr. Roberson is a member of the local Gateway Study Club, the North Carolina Dental Society and the American Dental Association. As a member of the NCDS, Dr. Roberson held several positions in organized dentistry. He has been a Delegate, Reference Committee Chair, and he chaired the Committee on the new Dentist for several years. He was a member of the Board of Directors for the UNC Dental Alumni Association for six years, Vice President of the Fourth District Dental Society, and President of the Local Study Club. 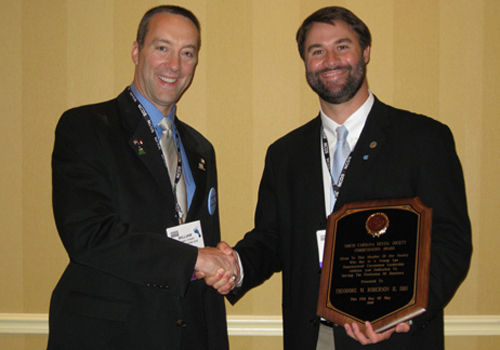 In 2008 Dr. Roberson was awarded the Commendation Award at the Annual Session of the NCDS at Myrtle Beach, which is given to one dentist each year in NC under the age of 40 who demonstrates leadership and service to the NCDS. 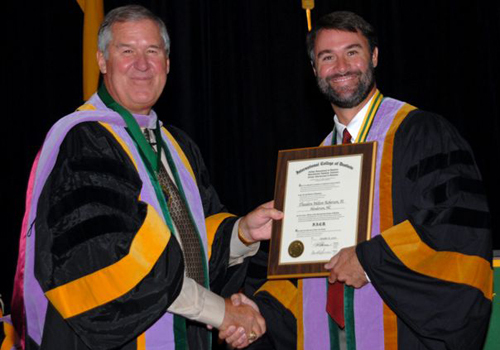 In 2010 Dr. Roberson was inducted as a Fellow of the prestigious International College of Dentists in Orlando, Florida. 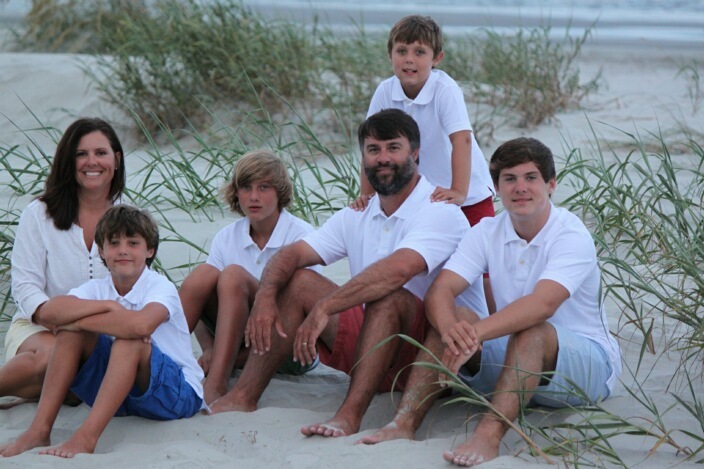 Dr. Roberson and his wife Allison have four sons, Turner, Holton, Kirby, and Luke. They all love the beach, outdoors hiking, and hunting. A true family man, Dr. Roberson has enjoyed time coaching soccer, football, and basketball. The family attends First Baptist Church of Henderson, NC. 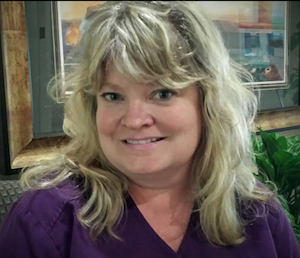 Brandie Journigan is a Dental Hygienist at Roberson Family Dentistry. She joined Dr. Roberson’s team back in September of 2001. She worked until 2009 and then took a few years off to be at home with her children. Brandie is now back and ready to reconnect with past patients and start a new journey with the new ones. She has always had an interest in teeth and enjoys people, so hygiene has been a great career fit. Patient care and improving patient’s dental and overall health are what she considers to be most rewarding about her job. Brandie is happily married to her husband Shawn, and she has two boys. In her free time, you will find her on the baseball field, cheering on her boys, and spending time with family and friends. Beverly Fleming is the patient coordinator at Roberson Family Dentistry. Beverly has worked in the dental field for over 20 years. She is the proud mother of two boys Justin and Cameron and one grandson. Beverly is always happy and eager to hear from and talk to patients. She has made many friends over the years working in dentistry. Beverly and her husband Thomas enjoy camping and riding their four-wheelers. Angela is the Dental Assistant at Roberson Family Dentistry. She has worked as a dental assistant for over 20 years. 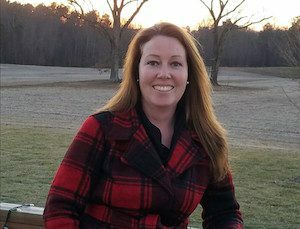 She lives in Youngsville, NC with her husband, Bryan, and their son, Hayden. She enjoys helping her patients achieve and maintain healthy teeth. In her free time she enjoys boating, cooking, and watching her son ice skate. Copyright © Roberson Family Dentistry, All Rights Reserved.